Following the success of its recent TV advertising campaign, Vaillant spoke to a number of installers about how this kind of manufacturer promotion can help their businesses. 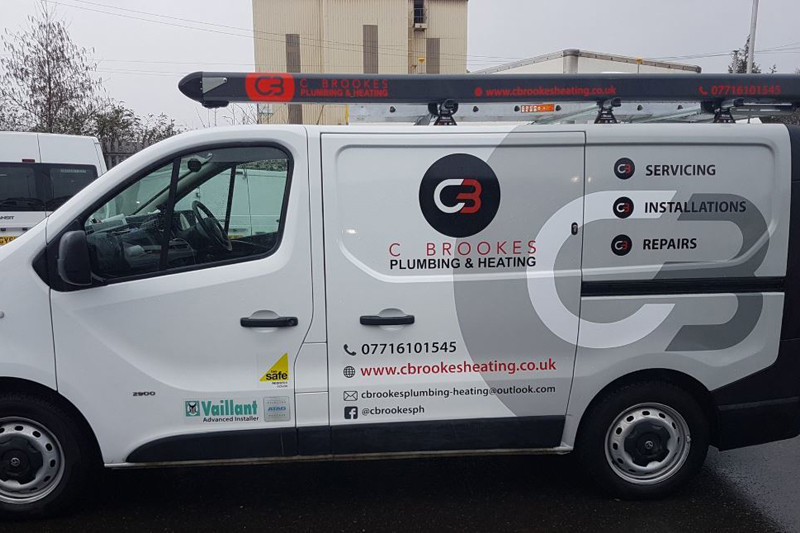 Alice Woolley, Director Of Marketing, speaks to Craig Brookes of C Brookes Plumbing & Heating about going self-employed, making the most of Advance, and why manufacturer support is essential to installers. I’m based in the South West, mainly Bristol, and I do a bit of everything to be honest! Boiler changes, unvented systems, underfloor heating, bathrooms, anything plumbing. I used to work for a big company and have only recently become self-employed full time. I’ve been building my business over weekends and during my evenings over the last two years, so it’s a big step to take the plunge and go out on my own. How have you built your business since setting up your own company? As I’d been doing jobs on my own for a couple of years, I’ve developed a bit of a network, but when you’re self-employed you need to give yourself the best chance of getting leads. With that in mind, I started using Advance, and the Find an Installer feature, about two months ago. During that time, I’ve got four leads through Advance, which is really good – especially in the early stages of building my business. What impact do you think TV advertising had on generating those leads? Well, two of the leads I got from Advance actually told me directly that it was the recent TV adverts that prompted them to go for Vaillant. In fact, one of the leads, who is now living in South Bristol, actually saw the advert when they were based in Northern Ireland, and when they moved to their current residence, had it in the back of their mind. It’s amazing that she remembered the ad over that period of time, and when she went on to Find an Installer, she got in touch with myself as a result. It’s quite a distance from Northern Ireland to Bristol, so it really shows how far-reaching the television adverts have been! In a way, when manufacturers advertise on TV, it’s almost like free advertising for us too, and that’s certainly been true for me based on the feedback I’ve had from customers. Do you think TV advertising is important for manufacturers generally? Absolutely. Homeowners don’t necessarily know the ins and out of each brand, so sometimes they base their whole impression of a manufacturer on what they see on TV. It’s funny, even though you might think you’re not really watching the adverts – you’re just waiting for Corrie to come back on – messages can subconsciously get through, and you find you have certain brands at the back of your mind, whether you were paying attention or not. Obviously, there’s more to being a good manufacturer than being on TV, what else do you look for? Well, the quality of the boiler is the main thing! But otherwise, it’s really important to feel supported by your manufacturer. Vaillant is a really good brand, and you know that if you ever need any help, they’re always there to help you straight away. The reps are fantastic, I know that in the unlikely event that anything ever goes wrong for a customer, all I’ve got to do is pick up the phone and it’ll get sorted. It’s across the board really, from the marketing team to the Facebook group, they have everything covered. The support they offer is better than any other boiler manufacturer by a long, long way. I’ve also got to mention the guys at the Bristol training centre, who are brilliant! That being said, it’s also useful if the manufacturer joins the dots between the TV activity and the day-to-day stuff. For example, Vaillant’s quoting folders link to the adverts, so its recognisable, and customers can make the connection between the service I provide and the brand they see on TV. Vaillant is celebrating the success of its TV ad – but what’s your proudest moment of the last few months? Definitely going out on my own. I’m expanding my business, and the last couple of months have been really successful – I’m proud of what I’ve achieved so far, it feels great to be my own boss!